MI Cable Company was founded in 1990, supplying oil, gas and petrochemical companies. In 1995, M.I. Cable Company received its UL listing for use of MI Cable assemblies in classified areas. 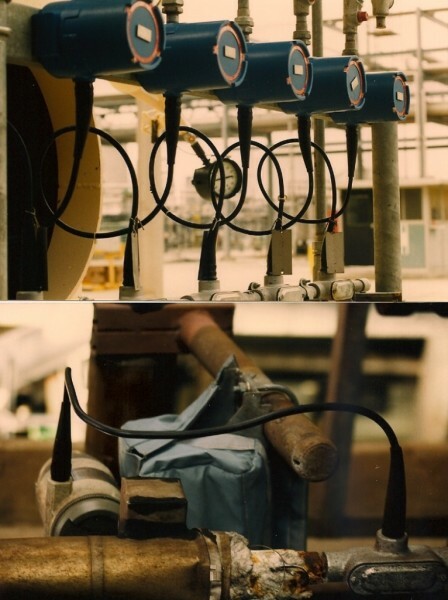 Mineral insulated cable assembly for use in Hazardous Locations, Class I, Divisions 1 and 2, Groups B, C and D and Class II, Divisions 1 and 2, Groups E,F and G. Types MICC1, MICC2 and MICC3. UL Certificate E160560 Standards for Safety: UL 2225, Cables and cable fittings for use in Hazardous locations. CAN/CSA C22.2 No. 174, Cables and Cable Glands for Use in Hazardous Locations. In a hazardous or classified area of a petrochemical or industrial plant you can’t afford to take chances with the electrical installation. That’s why most of our clients use mineral insulated cable assemblies as their first choice for proven safety and reliability. Mineral insulated cable offers an ideal wiring system for critical applications because the cable, conduit and terminations are combined in one easy to install assembly. Compared to conventional conduit and wiring, MI cable assemblies eliminate conduit seal fittings, providing a more secure connection while reducing material and labor costs. With fast responsive service, MI Cable Company (MICC) offers a complete line of mineral insulated cable assemblies, for control, instrument, power and thermocouple connections, that are impervious to the passage of gas and liquids, fire proof, stable and virtually indestructible.